We had a special event at work today which all centered around working in a great environment and doing things each and every day that makes you proud to work for ASDA etc. At one point we had to write down one pledge in life. One thing to bring to our work and our life which would make both things better. We wrote them on a tag on a wooden stake and they will be displayed in the office. I feel like people just don’t take the time out to thank people enough nowadays. We’re all so eager to jump on social media and slag this person off and berate someone else, but we don’t always see the nice things in life. The things that make you smile. So tonight I did my first thank you. I’m a big Leeds United fan (not a football fan in general…just a Leeds fan…I’ll discuss that another day) and I used to spend a lot of time on a certain set of forums where people would ultimately discuss Leeds United but would also just chat about every day stuff too. Now I got a bit of a reputation on there for being a wind up merchant. I would constantly post things that would garner abuse and 99.9% of the time it was like water off a duck’s back. But as reminded tonight on Facebook…some people always stood up for me against the keyboard warriors. 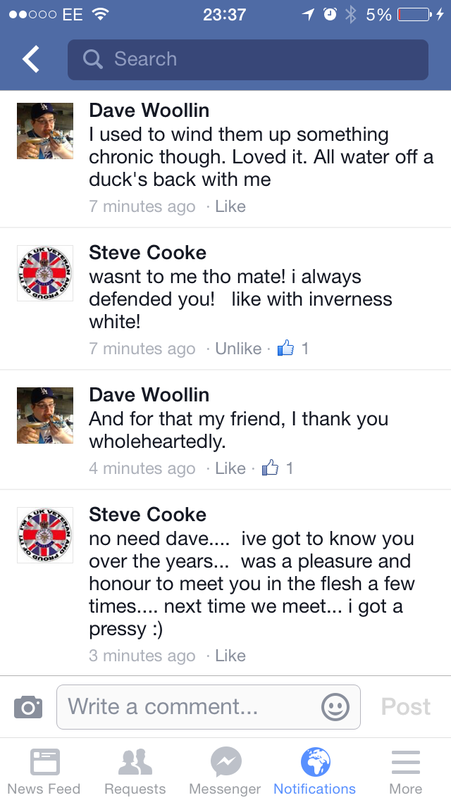 One of those was Steve Cooke and tonight I thanked him for that…and I meant it. Genuinely and heartfelt. He’s the genuine article and a pleasure to know. So long may the Thank Yous continue and I hope you’ll all take this on board too and just stop to think about who has done something for you recently and who can you say thank you to. You don’t have to buy them presents or flowers or beers or anything like that…a simple “Thank You” goes a long long way!